Buy a shirt, support the cause, wear your tee to the hearing! All funds raised will be paid directly to Florida Beaches for All for Legislative costs / operating expenses. You know the drill. This fundraiser is back by popular demand. Funds will support customary use legislative efforts put forth by Florida Beach for All, a 501(c)4. Please wear your tee to the November 3 hearing and show your public access pride! To preserve and perpetuate the doctrine of Customary Use of ALL BEACHES in Florida and in all of Coastal America. To help protect customary use of Walton County and all Florida beaches for future generations. The beaches are for all to enjoy. Because Walton County beaches have always been, and should continue to be, available for public enjoyment. I've been on the beach in Seagrove Beach all my life. I LOVE going to and spending time with my family on our beautiful beaches! I strongly support the doctrine of customary use for our beaches. In support of CU - Always!!! 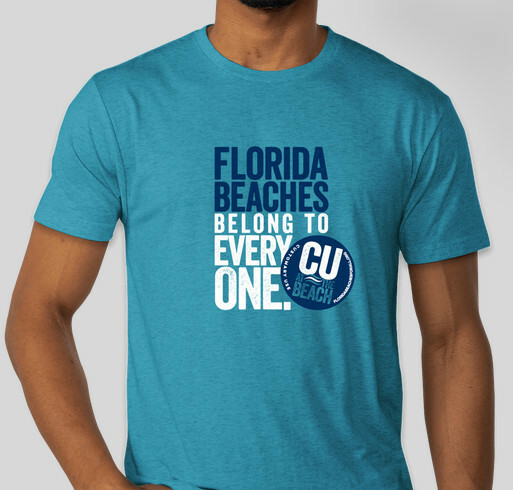 Share Why You Support "CU ROUND 2"